We took our morning walk today to the campus of La Sierra University. 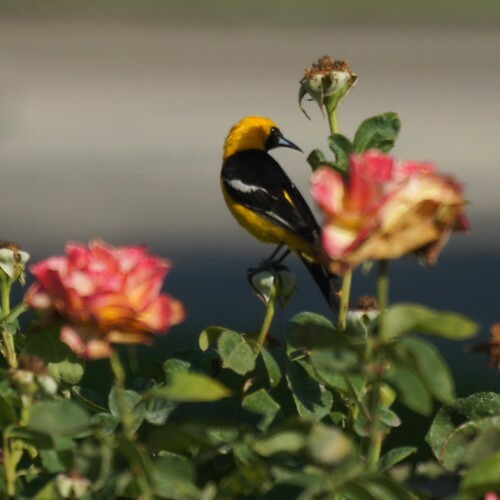 It's a small, quiet university, beautifully landscaped and is home to a few bird species. 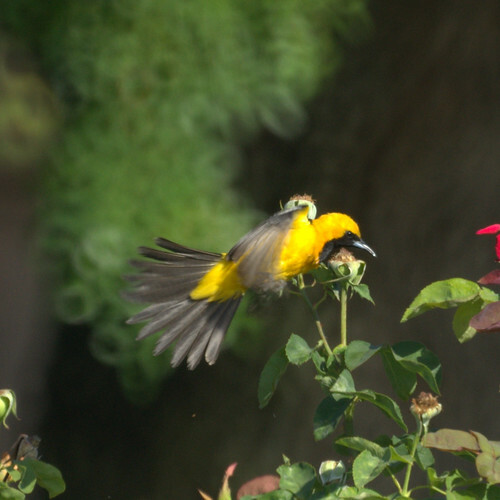 The hooded orioles are new to us and we saw a few pairs including one feeding a fledgling.